DAPPER KID - a men's fashion and dress blog: Meow! 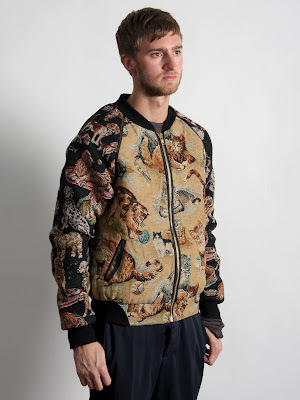 People may be tempted to stare and laugh at me, but honestly I could not care less - I want your tapestry cat bomber jacket more than I want Number (N)ine to come back (which is rather a lot, just look at this collection!). But seriously...£349? Cut a boy some slack. I may just have to hang around antique shops in a top hat, monocle and crimson velvet-lined cape (if you are going to try and be incognito, you may as well have fun with it) in the hopes that someone drops off a tapestrical (I realise that is not actually a word) masterpiece for me to cut and sew...and then possibly discover that I am actually pretty bad at making jackets. And yes, cats really are that awesome. Have I been in the library a little too much as of late whispering to the books and pretending that they talk back to me in funny old accents and lament the fact that they have not had the chance to come off the shelf and stretch in far too long? Probably, but I would never admit it if you asked. Haha! What a funny jacket! Really, an awesome jacket. wow, on the cost. 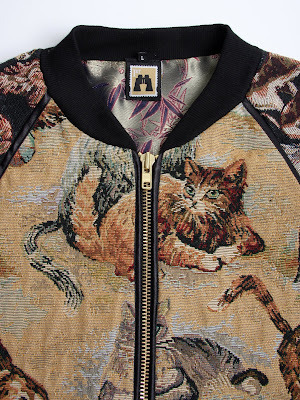 I adore this jacket ! 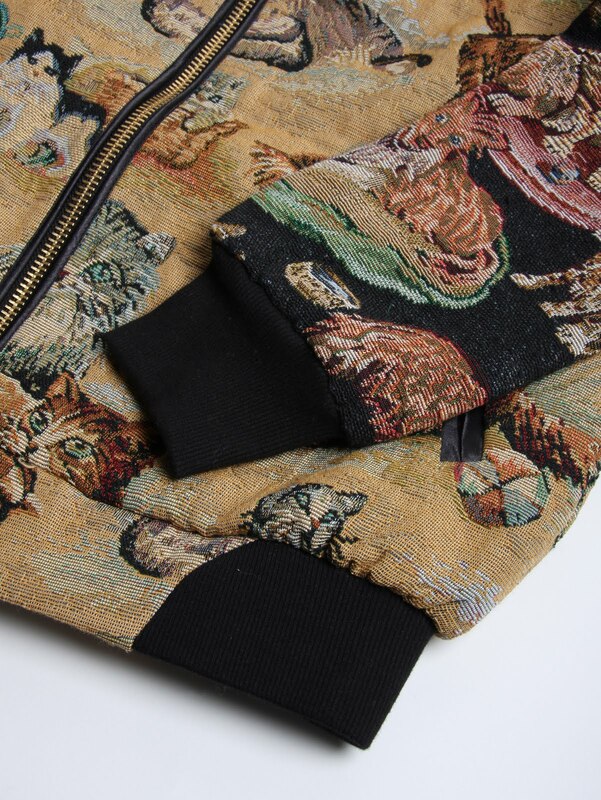 All my old cat lady dreams have been realised in jacket form! I did see some fabric that was just like that (portraits of cats in frames on a similar, tawny colour background), I hope it's still around now. 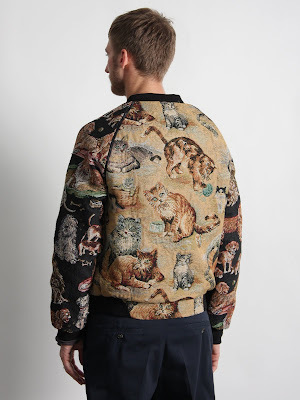 I am obsessed with animals on clothing, although I don't actually own that many things with animal prints, although I do have a couple scarfs with cats on them. Hahaha...Not sure if I can see eye to eye on this one, but I might change my mind if you were to sport it one day! That is one insane design! 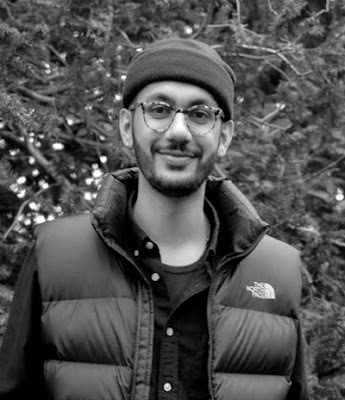 Unique is all i can say! Haha i love this jacket, because its classic - although I dont think youd find me actually wearing it!